This weekend will see the third year of DU Film Society’s annual Film Festival. The three-day event, running from Friday until Sunday, aims to promote innovative and exciting projects among students and film enthusiasts in Ireland and provide a space for upcoming filmmakers to foster relationships and reinforce Ireland’s place as one of the top film industries in the world. The festival will incorporate a myriad of film screenings in various venues across Dublin’s city centre. There will also be workshops on film festival strategy and interactive networking events, all culminating in Sunday’s illustrious awards ceremony. The festival is quickly emerging as one of Dublin’s leading arts festivals. Since its inaugural festival in 2017, DU Film Festival, although still in its relative infancy, has already grown immensely in popularity and scope. 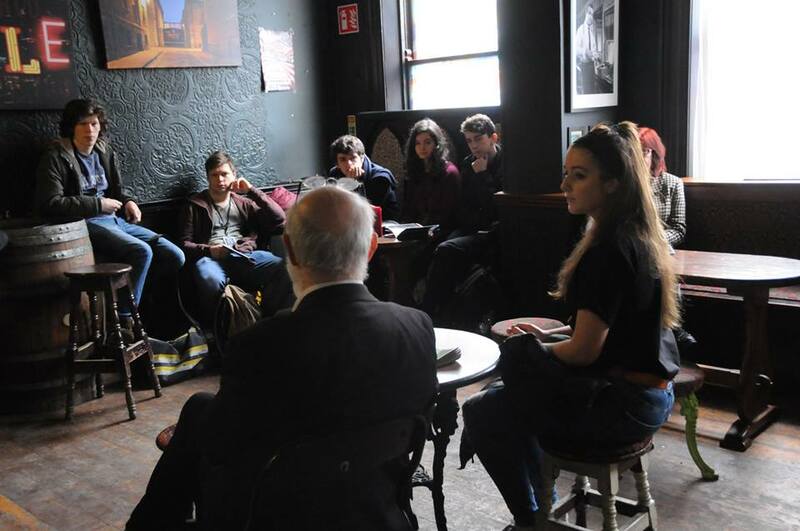 Funded by Bank of Ireland, the festival has in recent years sparked a renewed interest in film in Trinity and across Ireland, with students and non-students from across the country showcasing films in this year’s festival. The fostering and support of artistic endeavours, both financially and socially, is vital for the growth and continuation of Ireland’s creative industries. The scarcity of straight-forward entry structures into industries such as film production emphasises the necessity of festivals as opportunities for young and aspiring filmmakers to showcase their work and establish connections with fellow filmmakers. Speaker events and panel discussions provide filmmakers and enthusiasts with the opportunity to not only forge connections but also to gain knowledge about the inner workings of the industry itself. The festival kicks off at 6pm on Friday in the Robert Emmet Theatre with a festival launch, followed by the first round of screenings. The films cover a diverse range of themes, which take their inspiration from topics such as male mental health and single fathers in Ireland, the phenomena of psychic mediums, and even the struggles involved with being an ostracized pantomime horse in modern society. The Science Gallery’s Paccar Theatre will host Saturday’s schedule of events, which incorporates the second round of film screenings with an hour of speakers from Fastnet Film Festival, which takes place annually in Cork. Steve Coogan, Druid Theatre’s Maureen Hughes, and ‘Frank’ director Lenny Abrahamson will undoubtedly provide an immensely valuable and experienced range of speakers on all aspects of the film industry and film festival production. Sunday’s awards ceremony will take place in Wynn’s Hotel on Abbey Street, with the nominated films being honoured and the winners of each category announced. Among the award categories included are Best Picture, Best Director, Best Actor, Best Screenplay, Best Cinematography and Best Documentary. Trinity BESS student Niamh Barry has been nominated for Best Documentary for the short film Boys Actually Do Cry, which was released last year. The Hike, directed by fellow Trinity TSM student Jess Timlin, will also be screened on Friday, along with The Great Escape, for which Trinity student Emmanuel Okoye has been nominated for Best Actor. Colin the Pantomime Horse arguably wins the unofficial title of most eye-catching film among the nominees. The film tells the tale of a pantomime horse in his search for acceptance in society and is directed by Trinity English Literature and Film Studies student Susannah Hunt, who is in the running for Best Director. DU Film Festival demonstrate their far-reaching scope with the nomination of Petite Mort, directed by Sara Manansala, which was entered by FAMU International of the Academy of Performing Arts in Prague, for Best Picture, Best Editing, and Best Cinematography. Similarly, the short documentary Where’s Dad? was entered by the University of Wolverhampton from England. The schedule for this weekend’s festival looks set to be their most impressive yet, with a high calibre of films being screened and a diverse range of topics being presented. Whether you’re an avid student filmmaker, cinephile, or merely open to a unique event in support of young artists, this year’s DU Film Festival looks set to impress all in attendance. The festival provides acknowledgement and exposure for young budding filmmakers, as well as promising to be an entertaining and engaging weekend of film. With both weekend and day tickets available, this is definitely not one to miss for any film fanatics around the city this weekend.